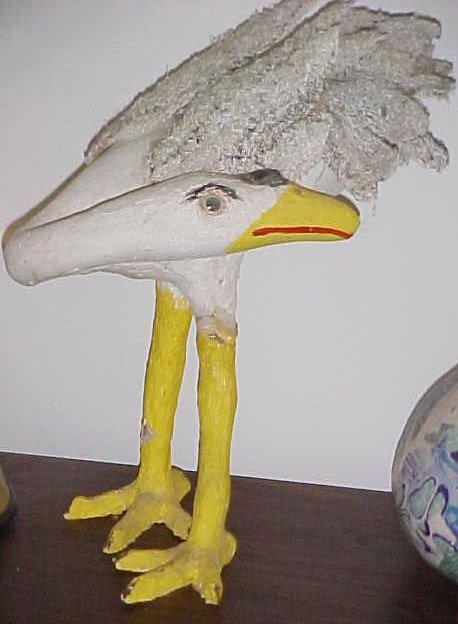 Gourd Goose. Artist Minnie Black. Note: Feathers are fashioned from louffa gourds, and for the feet, Minnie saved the feet from chickens she cooked, dried them by nailing them to a board, and then inserted them into the necks of dipper gourds, covering all with a plaster medium. 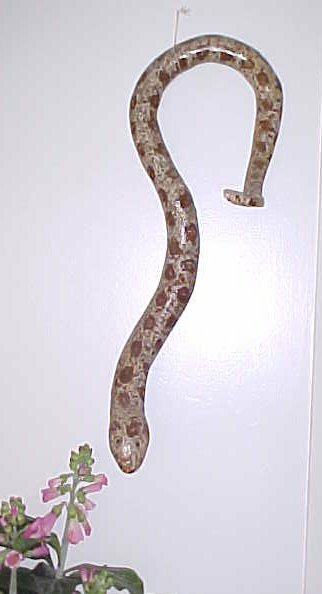 The Gourd Snake is shaped as it grew. 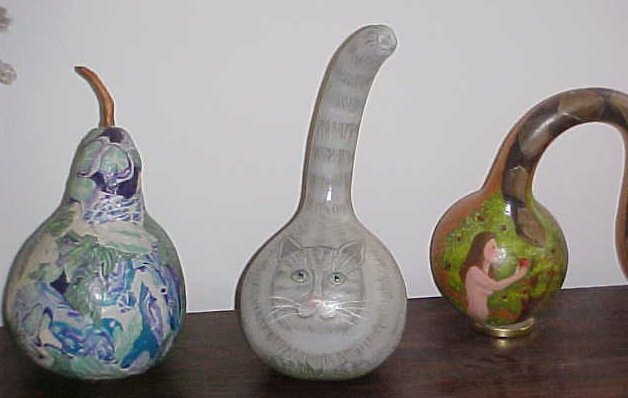 Each snake is different as each gourd grows into its own unique shape. Minnie formed the head w/ a plaster medium, added glass eyes, and glued on rattles from a rattlesnake. 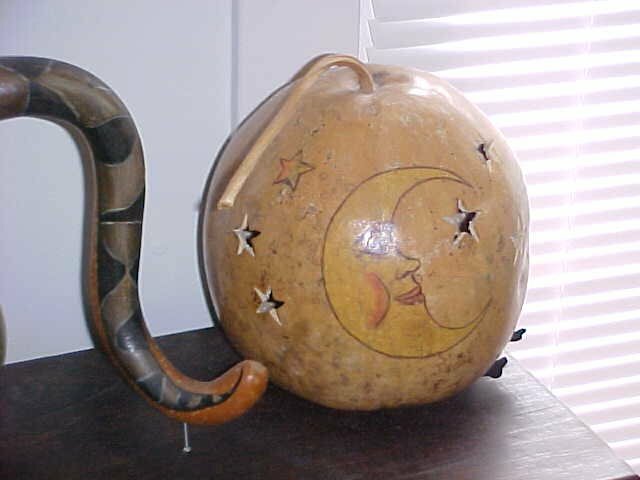 This gourd Sun/Moon lamp was crafted by Dinah Presnell. There's a small bulb inside, and various tiny rays and stars cut into the surface. Reverse of the Sun/Moon lamp. 1. 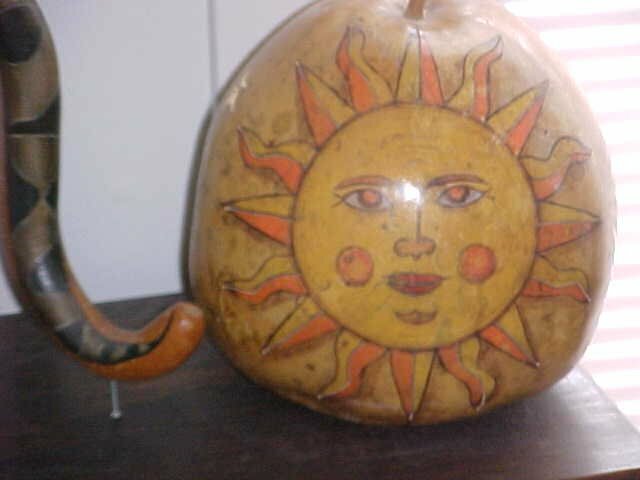 Mine, fashioned from a birdhouse gourd and clay.